Many of the world’s leading brands rely on PowerInbox email personalization and monetization to drive real engagement, revenue, and results. I wanted to find out more about how technology-based solutions can help businesses rise above email clutter with high-impact dynamic tools for email marketers. 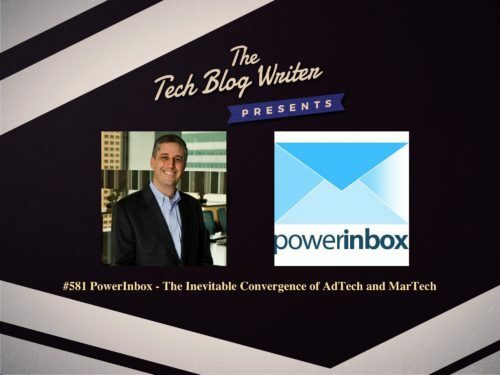 This search led me to PowerInbox, a company that aims to bring emails to life and monetizes campaigns to supercharge engagement. PowerInbox is venture backed and works with all existing email programs, supporting over 3 billion emails a month from leading companies including the NFL, CNN, Hearst, Priceline, Ziff Davis, GM, MSG, and Showtime. On today’s tech podcast, Jeff Kupietzky, CEO of PowerInbox discusses how emerging technology is creating new revenue streams for businesses that can be best utilized through the convergence of AdTech and Martech. We also discuss how RevenueStripe is an email based, personalized content recommendation solution which increases reader engagement while providing incremental revenue for email publishers. DynamicMail enables sending real-time, dynamic content optimized on the open including tickers, forms, video, scrolling images, animation and more. Clients enjoy 30% higher engagement rates and 4X ROI. Jeff also provides tips for combining the two types of technologies to have the biggest impact on business results. I also explore how he runs a 100% remote, international team and how his company leverages technology to provide a positive, remote work experience.